Finding the right SUV is simpler than ever before at Knight Weyburn Chrysler Dodge Jeep Ram. To prove it, we’ve put together a lineup of some of the sporty and fun to drive vehicles that we have readily available at our dealership. With a wide array of power levels to choose from, impressive performance and handling, and comfortable and high-tech interiors the SUVs included in this lineup are sure to satisfy Indian Head drivers. With great power comes great fuel efficiency – or at least that’s what you can expect to find from the SUVs in this special lineup. 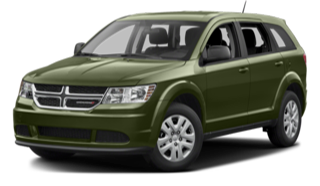 The variety of powertrain strength spans far and wide with smaller engines like the 2016 Dodge Journey’s 2.4L 4-cylinder engine to heavy-duty workhorses like the Jeep Grand Cherokee’s 6.4L SRT HEMI V8. However, regardless of what level of power you choose, fuel-efficiency is a large focal point for each of these vehicles, making it possible for even the hardworking 6.4L Jeep Grand Cherokee’s engine get as low as 12.6L/100 km on the highway. Other vehicles such as the 2016 Jeep Compass can get fuel economy as low as 8.9L/100 km on the highway. One of the things that you can expect each of the vehicles in this lineup to provide you with is impressive performance. Whether you’re looking for a vehicle that can hold its own off the road like the 2016 Jeep Patriot or something with a great balance of power and luxury, like the 2016 Dodge Durango you can guarantee that you’ll always have an unforgettable driving experience. The availability of various drive modes, drivetrains, and sports-tuned performance and handling features that these vehicles can offer are both impressive and efficient. No matter which of these great vehicles you choose to drive home in, you can rest assured that you’ll be in good hands with top of the line comfort, convenience, and technology features at your disposal. 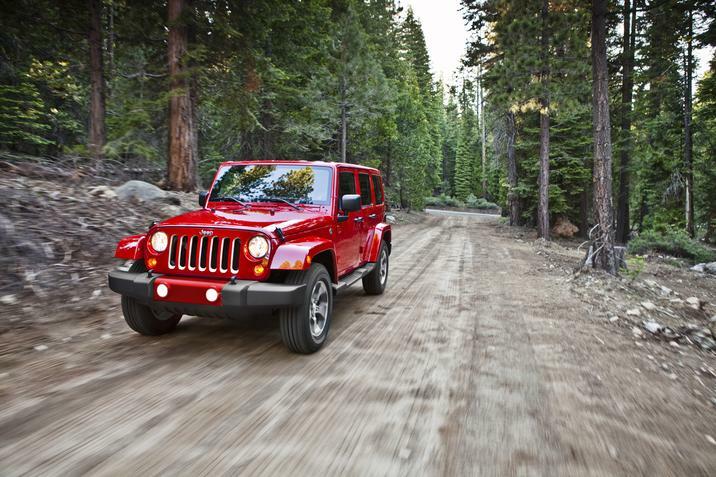 Vehicles like the 2016 Jeep Wrangler come equipped with available features like heated front seats, an Alpine audio system, and a 6.5-inch touchscreen navigation system – and that’s just barely scratching the surface. Each of these vehicles also come equipped with outstanding available safety features like Adaptive Cruise Control, Forward Collision Warning, and rear backup cameras to ensure that passengers are always able to feel safe when inside the cabin of the vehicle. 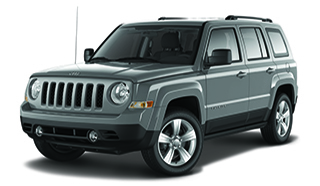 2016 Jeep Patriot – This trail-blazing SUV is equipped with all kinds of innovative off-roading features like Freedom Drive I and Freedom Drive II to help increase fuel economy while providing the best off-roading performance possible. 2016 Dodge Journey – The Journey has space to spare with as much as 1,914 liters of cargo space, multiple class-exclusive second-row in-floor storage bins, and Flip ‘n Stow in-seat storage. 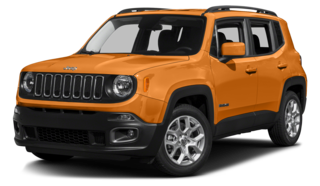 2016 Jeep Renegade – With two available 4×4 systems, the ability to tow up to 907 kg, and the Selec-Terrain Traction Management System the Renegade is outfitted for some serious fun on or off of the road. 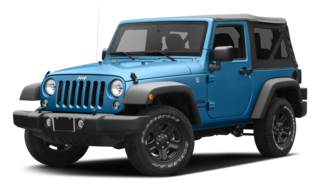 2016 Jeep Wrangler – Though its exterior may seem smaller than most SUVs, the engine options more than make up for it with the ability to deliver as much as 285 hp and 260 lb-ft of torque with the 3.6L Pentastart VVT V6 engine. 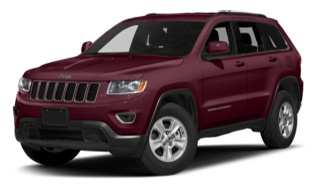 2016 Jeep Grand Cherokee – The 3.0L EcoDiesel V6 engine with 240 hp, 420 lb-ft of torque, 11.2L/100 km city, and 8.4L/100 km city proves that balancing efficiency and power is nothing new for this vehicle. The upcoming 2017 model is sure to be just as promising. 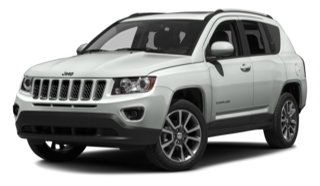 2016 Jeep Compass – The words innovative and exciting only begin to describe the variety of available comfort, convenience, safety, and technology features of the Compass. 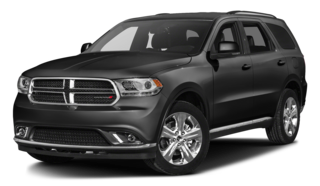 2016 Dodge Durango – The Durango provides a luxurious driving experience and a powerful 5.7L HEMI VVT V8 powertrain option, all without the luxury price tag. At Knight Weyburn CDJR you can always count on great customer service and competitive pricing. To learn more about our available new and used SUVs or other vehicle segments just stop by our location at 1627 First Avenue N.E. in Weyburn. For any other questions, concerns, or to schedule a test drive or service appointment we can also be reached by phone at 1-888-901-0983.